“My husband and I spent many an hour searching for the perfect photographer for our wedding. We met with a couple of others but we just didn’t feel their work captured our ‘story’ as we would like. That was until I found Desiren’s webpage. I immediately fell in love with Sash’s work, his use of lighting and his ability to truly capture the moment. We met with Sash and just loved him from the upshot. His friendly, knowledgeable advice and lack of hard sell tactics had us booking our wedding straight away. Our day was captured perfectly, the colours and excitement and emotion of the day were completely shown through his work. He was so easy to work with and most of the time, we barely knew he was there. We had our viewing last night and were totally blown away by his work, his compilation of our images and the way he caught our best angles and there’s love, happiness and joy shining through each and every shot. 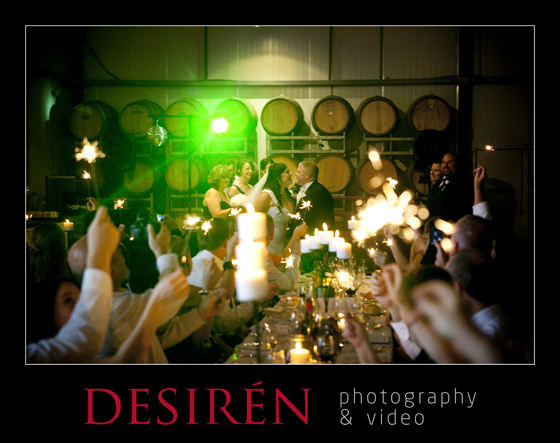 I cannot recommend highly enough Desiren Photography for any wedding, engagement or ‘just because’ photography. We absolutely will continue to go through you for any further events or milestones Sash. Thanks heaps guys, looking forward to showing you the final album!